June 3-26, 2010 Opening Reception: June 3, 5:30-7:30 www.dolbychadwickgallery.com Chelsea James, Deep, 2010, oil on canvas, 66 x 60 Dolby Chadwick Gallery is pleased to announce Souvenirs of Solitude, an exhibition of new paintings by Chelsea James. Having only recently earned her BFA, the impressionistic quality of James’ landscapes and interiors nevertheless reveals the measured stroke of a mature and confident artist. She skillfully endows her traditional subject matter—an atypical choice for such a young age—with a sensitivity and lyricism verging on the precocious. 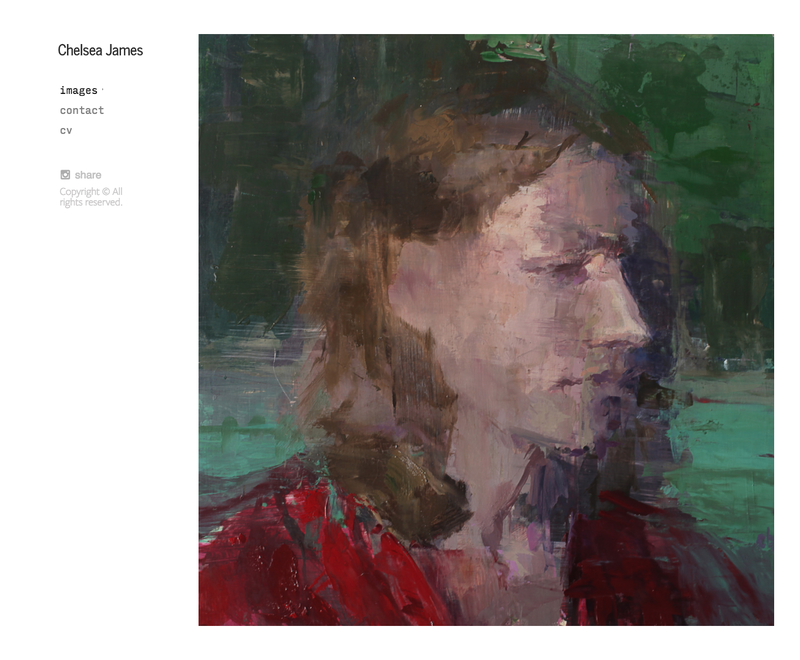 And though James’ paintings derive from her experiences within the world, they are also intimately mediated through the artist’s own temperament and interpretative sensibilities. [My paintings are] a reflection of who I am and what I've experienced. I choose objects that evoke childhood memories, create situations of atmospheric mystery, and bring visual interest through interaction. I'm intrigued by subtle shifts in value and color; yet seek a personal interpretation of the objects rather than a replication. 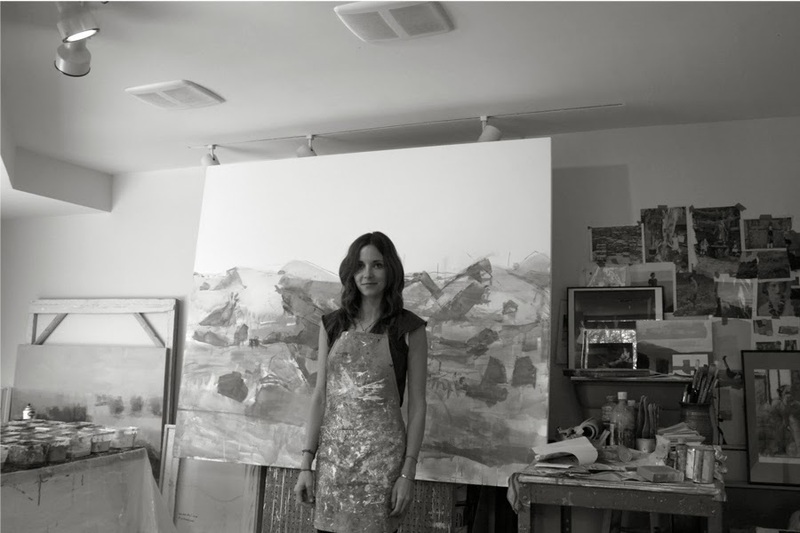 – Chelsea James Inspired by van Gogh’s drawings during a trip to Amsterdam, James’ abstracted renderings of San Francisco, Utah and Africa, amongst other settings, evoke the palpable atmosphere and formal unity of the Dutchman’s landscapes. This same awareness of atmosphere’s affective power is evident in James’ most recent series of interiors depicting lone industrial sinks and vast institutional hallways. Though bereft of actual human presence, half-empty bottles of soap, a folding chair, and pristinely polished floors give James’ scenes the imprint of recent occupancy. Desolation is overcome by a sense of quiet solitude and calm, a mood reinforced by James’ muted color palette and softly shifting tonalities. Chelsea James, Seventh Floor, 2010, oil on panel, 36 x 36 Chelsea James earned a BFA in Painting and Drawing from the University of Utah in 2006. During her undergraduate career, she was the recipient of numerous scholarships and awards and has since shown work at a several galleries and museums throughout Utah and California. Southwest Magazine, Salt Lake City Magazine and, most recently, Design Sponge, have praised her as a talented artist on the rise, one whose technical prowess and earnest imagination render her worthy of close attention. This will be James’ first solo show at the Dolby Chadwick Gallery. To see more images of the show or for more information about the gallery please visit www.dolbychadwickgallery.com or send an email toinfo@dolbychadwickgallery.com. Click to view this email in a browser Unsubscribe Info: This email was forwarded to you by alyssa@dolbychadwickgallery.com. This action did not cause your email address to be added to any mailing lists. You will not receive any future emails unless you choose to subscribe to the list by clicking the opt-in link at the top of this email.